Did you know that our brains have an “internal clock” that keeps time? This timing is critical for attention, executive functions, speech and language, social skills, reading and other academic skills, motor control and coordination, sensory processing and integration, as well as many other areas common to childhood development. 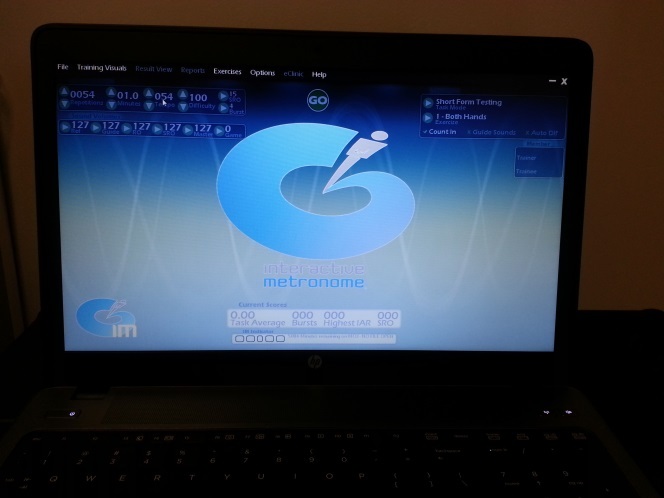 Interactive metronome is an evidence-based, intensive computer centered assessment and training tool that can help improve timing, rhythm, and synchronization in the brain. Interactive metronome is used around the globe in hospitals, pediatric and adult clinics, school, and homes. It can be used to improve a child’s processing abilities that affect attention, motor planning, sensory processing, and sequencing. Children who have been diagnosed with ADHD/ADD, Apraxia/Dyspraxia, Autism Spectrum Disorders, Brain Injury, Auditory Processing Disorder, Cerebral Palsy, Dyslexia, Language-Learning Disorders, Non-Verbal Learning Disorders, Sensory Processing Disorder, Stuttering, and much more can all benefit. 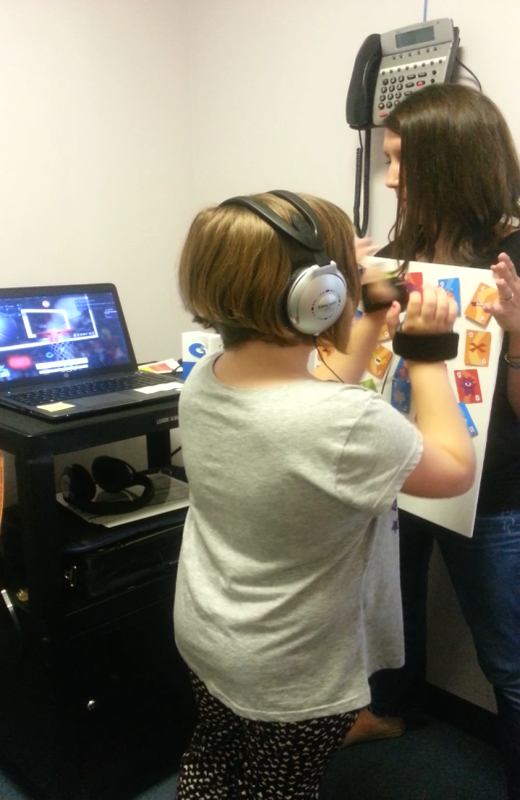 Interactive Metronome is available through Easter Seals DuPage Occupational, Physical, and Speech Therapy Departments. The therapists at Easter Seals use this program to tailor a treatment plan specific to the child’s needs and family priorities. Interactive Metronome challenges the child to precisely match a rhythmic beat, which can be customized to your child’s unique learning style and challenges, with synchronized hands and feet exercises. Feedback is then is given auditorally or visually based on the child’s goals that tell the child how close they are within milliseconds to the reference tone. This feedback guides the child to attend and problem solve how to stay to the beat for improving their timing and overall coordination. During Interactive Metronome, the child treatment activities can be customized based on your individual child’s areas of needs. Exercises can include working on crossing midline for integrating both sides of the body together, improving standing balance for strengthening and endurance, improving both upper and lower extremity range of motion for reach and gait, improving impulse control by ignoring specific stimuli, improving attention to increasing longer and more complex exercises, improving working memory by recalling a series of exercises to shift between with either upper extremities, lower extremities or both, as well as improving coordination tasks with all extremities. 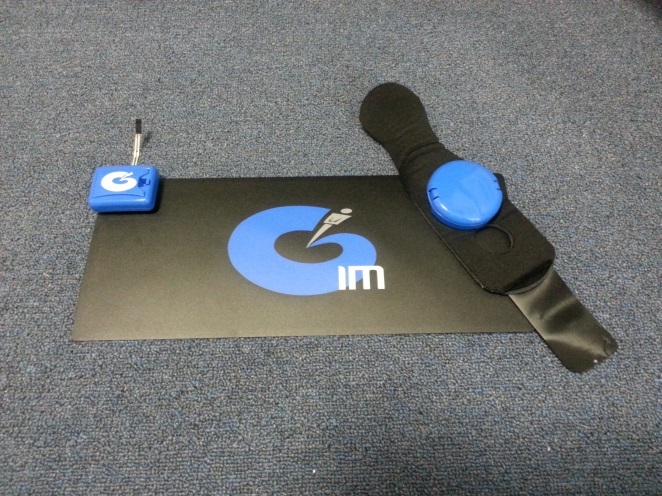 The goals of Interactive Metronome are vast and largely customization. If your child if already enrolled in therapy, talk to your therapist about this exciting new opportunity! If you are not currently enrolled in therapy, discuss this with your pediatrician and obtain a script for a discipline specific evaluation and treatment. More information can be obtained from www.interactivemetronome.com. For more information about Easter Seals DuPage & Fox Valley please visit EasterSealsDFVR.org.